Register Log In GliderCENTRAL Forums HELP! I'M NEW... Suggested research? Hi and Welcome to GliderCENTRAL!!! Have you read in the archives here on GliderCENTRAL? I would suggest reading, write any questions down that you come up with while reading and then ask them in the appropriate forum. Have you found a breeder? 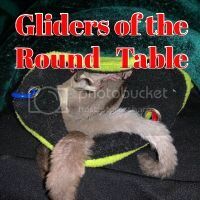 An exotic vet experienced with sugar gliders? A safe cage with 1/2" or less spacing? A plan for tent / bathroom time? Will you get Joey's or rescues? What kind of dishes will you use? There are several utubers that have very good information, some not so good, and some have tips that work for them, but not for everyone. Here in the archives, is a ton of info, depending on what questions/ concerns you still may have. Good luck and please ask any questions you may have. You have been given some great advice/suggestions. I would also caution you about the YouTube videos. As already stated, some are very good while others are sketchy at best. We have wonderful Archives here and are always willing to answer any questions you might have. You can embed any YouTube video you find with questions as well. Ladymagyver, I have figured out everything on the list except for breeder/rescue and vet, I’m still looking! I also haven’t bought anything yet becuase I don’t want to buy the wrong thing and later find out that it is wrong! I will check out GliderCENTRAL archives that you mentioned! Thanks! !